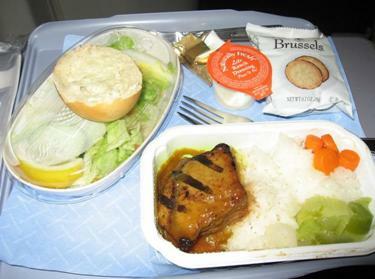 November 30, 2011 - A lawsuit has been filed against American Airlines and Sky Chefs for allegedly serving a passenger, Othon Cortes of Miami, a chicken dinner that was alleged to be contaminated with the deadly bacteria, Clostridium perfringens (formerly known as C. welchii) that resulted in his death. Cortes’ wife and daughter are seeking damages in excess of $1 million. Clostridium perfringens is a anaerobic spore-forming bacteria which is ever present in nature and can be found as a normal component of decaying vegetation, marine sediment, the intestinal tract of humans and other vertebrates, insects, and soil. This bacterium is the third most common cause of food poisoning in the United States. The action of C. perfringens on dead bodies is known to mortuary workers as tissue gas and can be halted only by embalming. On May 18, 2011, Othon Cortes and his wife, Raquel Cortes, boarded American Airlines Flight 151 in Barcelona, Spain to return back to Miami International Airport. The return flight had two legs, the International flight was the first of the return portion of a round-trip flight. After landing at John F. Kennedy International Airport, Cortes and his wife were scheduled to depart JFK and return home to Miami on American Airlines Flight 613. The suite alleges that during the International Flight, American Airlines served Cortes an in-flight meal that included chicken. However, during this flight the wife also consumed an in-flight meal but not one that included chicken. The food served by American Airlines to Cortes was allegedly supplied to American Airlines by Sky Chefs. LSG Sky Chefs is the brand name of LSG Lufthansa Service Holding AG, which is the world's largest provider of airline catering and in-flight services. It is a subsidiary of Deutsche Lufthansa AG. A part of the company was formerly owned by AMR Corporation, parent company of American Airlines. Its primary business function is to prepare and deliver meals, beverages and snacks to aircraft for domestic and international flights. Sky Chefs has reported it will file a motion to have itself removed from the case. “Based upon the allegations in the complaint it is not possible that Sky Chefs is the responsible party because we did not cater the Barcelona flight in question. As such, we have begun the process to dismiss the case against Sky Chefs." After the International Flight landed at JFK, while Cortes and his wife were at JFK on a layover waiting to board on their second leg from JFK to Miami (the “Domestic Flight”), Cortes experienced discomfort and pain that included sharp stomach cramps and sudden thirst and other clear outward signs of a severe physical illness. In the lawsuit it is alleged that Cortes became pale, his wife asked American Airlines employee for water. Cortes’ discomfort was obvious and was expressed and obvious to American Airlines employees who nonetheless did not secure medical attention for Cortes, and instead allowed him to board the flight to Miami, despite his obvious pain, discomfort, illness, and outward appearance of being incapable of continuing the second leg of the flight. In the lawsuit it is alleged that during the flight to Miami, Cortes’ pain and discomfort sharpened and manifested itself as nauseousness, and shortness of breath and ended in a cardiac event where Cortes became unresponsive. The suite further alleges American Airlines took no action on its own to correct, relieve, or aid Cortes before or during the flight. Eventually, the Miami bound flight was forced to make an emergency landing in Norfolk, Virginia due to Cortes’ medical condition. When emergency personnel sought to provide assistance to Cortes after the flight landed in Virginia, they pronounced Cortes dead on their arrival. Cortes’ discomfort, pain, and eventual death were caused by poisoned food that American Airlines and Sky Chefs served Cortes on the International Flight.